SCLA overwhelmingly supports full federal funding of IMLS for Fiscal Year 2019. South Carolina continually benefits from IMLS and LSTA. It is imperative to the growth of South Carolina's communities, education, and libraries and should be funded. "LSTA is the only federal funding program for libraries. Most of its resources flow to each state through IMLS in the form of a population-based matching grant. Because federal LSTA funds are matched part by state funds, libraries would lost both sources of revenue if LSTA funding were reduced or eliminated." 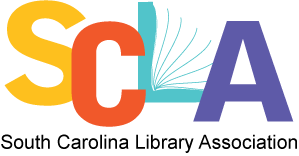 SCLA supports the SC Commission on Higher Education's budget request for $1.5 million in recurring funds for PASCAL (Partnership Among SC Libraries). PASCAL serves over 239,000 students at 56 colleges and universities by providing high quality academic content, including thousands of academic journals covering all disciplines, over 290,000 academic ebooks, and access to over 12 million print books through statewide rapid delivery service. SCLA believes in Net Neutrality. It is important to libraries because "libraries and librarians of every kind are dedicated to providing maximum and equitable access to information of all kinds," (ALA, 2017). We must "preserve the core principles of network neutrality articulated in the FCC's Open Internet Order, which protects free speech online, education research, and innovation," (ALA, 2017). SCLA supports the passage of the FASTR Act and as ALA states, is in support of "legislation building on the Fair Access to Science and Technology Research Act (FASTR) as introduced in the 114th Congress (S.779/H.R. 1477), to assure prompt no-fee public access to published articles and other materials based upon taxpayer-funded research."